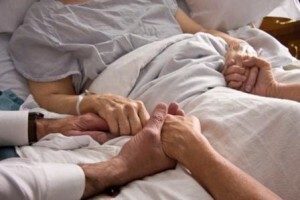 We all know that eventually our elder loved ones may experience serious illness and eventually death. It’s a fact of life that everyone young and old knows is coming, but it doesn’t make it any easier to talk about. For those who are prepared, it makes these challenging times more manageable. Palliative care focuses on relieving and preventing the suffering of patients – this can be patients in all disease stages from those undergoing treatment for curable diseases to those nearing the end of their life. Hospice care focuses on the care of seriously ill patients and offers a mix of medical and holistic support at the end of one’s life. According to a recent article in U.S. News & World Report, “Done right, palliative care is an enormous game-changer. It can deliver a range of medical, psychological, social-support, and even spiritual services to patients and family members.” The article goes on to say that palliative and hospice care have been proven to extend lives and improve the quality of the time remaining for patients and their families. This care can be imperative for helping families cope through difficult and uncertain times. What many people don’t know is that palliative care includes a whole team of professionals in addition to doctors, including a nurse, social worker, pharmacist, chaplain, occupational therapist, musical therapist and others. Experts feel that it’s not just about prescribing medicine and offering medical support; it’s about offering support in a myriad of ways to help make the patient and family more comfortable and at ease with the situation. Educating yourself about the many resources available is the first step and an important one.